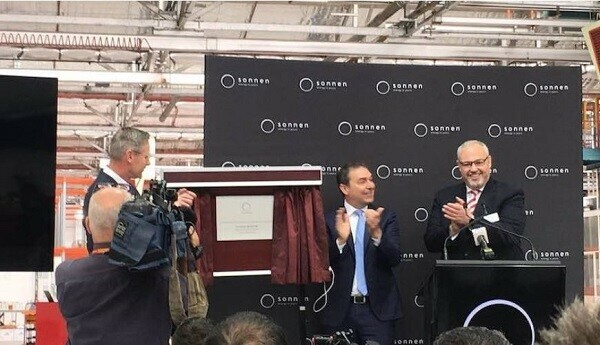 The first Australian made batteries for German manufacturer sonnen Group are set to roll off the assembly line, with the opening of the new factory in the old Holden car plant in Adelaide this week. It is the first of three new manufacturing and assembly plants announced by international battery companies following the release of the state government’s battery incentive scheme.That scheme is providing $100 million in rebates to 40,000 households, and another $100 million in low interest loans provided by the Clean Energy Finance Corporation and targeted towards lower income households. It has also attracted Chinese battery developer Alpha-ESS and Canada’s Eguana technologies to also announce local manufacturing investments. Sonnen says it aims to produce 10,000 batteries a year to meet demand from Australian households and for export to Asia Pacific. It also plans to create up to 430 new jobs in South Australia, and says it has already hired 50 new full-time employees in Adelaide to manage its production, call centre and technical support operations. “Today, we celebrate a new era for clean energy manufacturing in South Australia with the assembly of our first sonnenBatteries at Elizabeth,” sonnen CEO Christoph Ostermann said in a statement.